reflection:digital is an interactive media studio and consultancy founded by Leslye PJ Reaves. Leslye creates creative multimedia solutions for artists, business and education clients. 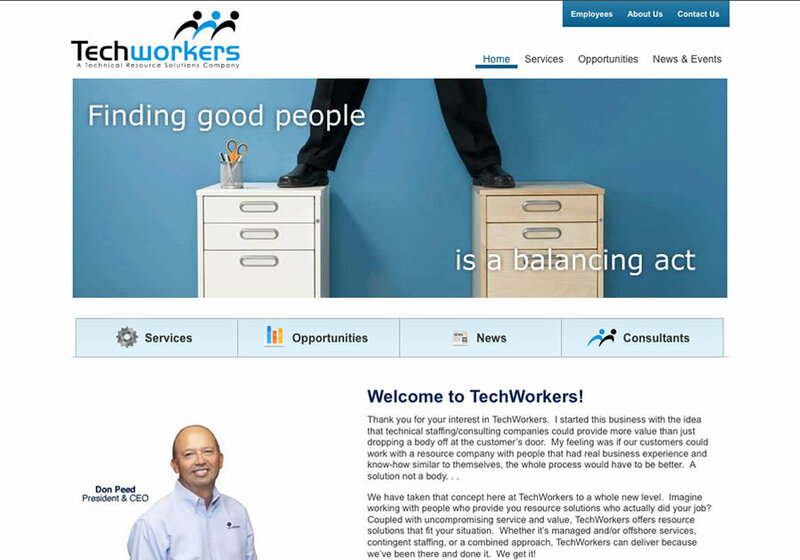 Website redesign for technical staffing company, Techworkers.